** Add items by clicking the icon. Bitte kontaktieren Sie uns unter info@tecon-systemtechnik.de oder +4926196389744. Danke! 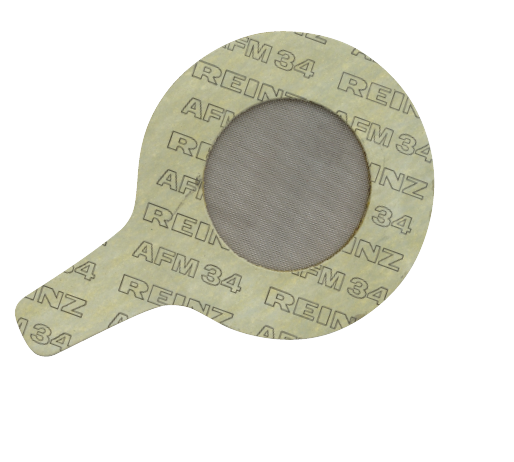 Asbestos-free hard fibre gasket and mounting tab with integrated woven sieve. The mounting tab facilitates easy insertion and serves as recognition of where it was installed. It can be helpful to mark it in red and to additionally label it with the “removal date”. 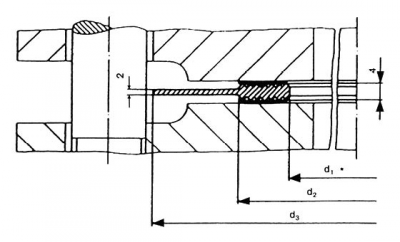 For metrological reasons, it is recommended to exchange the strainer gas- ket after a certain start-up time (e.g. after a few days or weeks, (depending on the type of operation) for a normal gasket. Upstream from rotary gas meters or regulators. 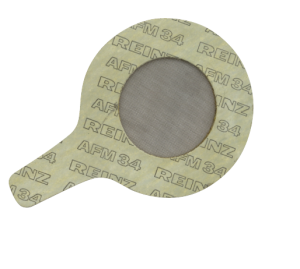 Strainer gaskets are no replacements for gas filters in gas instrumentation equipment. They are only installed temporarily during the start-up time to protect especially sensitive components (e.g. gas meters) against dirt, welding beads, splatter or similar. The equipment has to be filled professionally. Flow speeds of up to approx. 10 m/sec must not be exceeded. 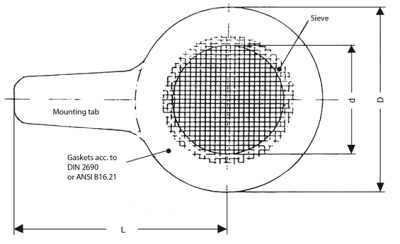 Strainer gaskets are constructionally not suitable for subjection to full-loading and should be removed after a few days/weeks. Cone strainers are recom- mended for higher loading situations. 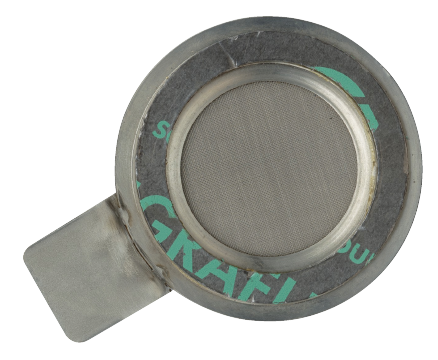 Grooved profile gasket with centring ring in rust-free steel with mounting tab and integrated woven sieve. The centring ring facilitates insertion and enables exact positioning. 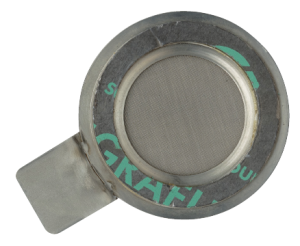 For metrological reasons, it is recommended to exchange the grooved pro- file strainer gasket after a certain start-up time (e.g. after a few days or weeks, (depending on the type of operation) for a normal gasket. Flow speeds of up to approx. 10 m/sec must not be exceeded. Strainer gaskets are constructionally not suitable for subjection to full-loading and should be removed after a few days/weeks. 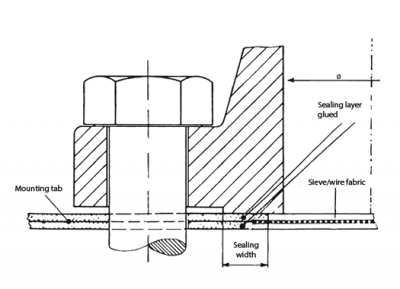 Cone strainers are recommended for higher loading situations.